While resort and its fellow pre-season collections aren't necessarily known for producing truly innovative pieces - the in-between seasons, after all, are intended to fill more basic year-round needs in customers' closets - this current season in many ways has shown a revival of several trends that have been absent from the runways for quite some time. In addition to introducing a few new silhouettes alongside these old favorites, Resort 2015 may also shockingly play out to be the tipping point revealing a new era soon to come. 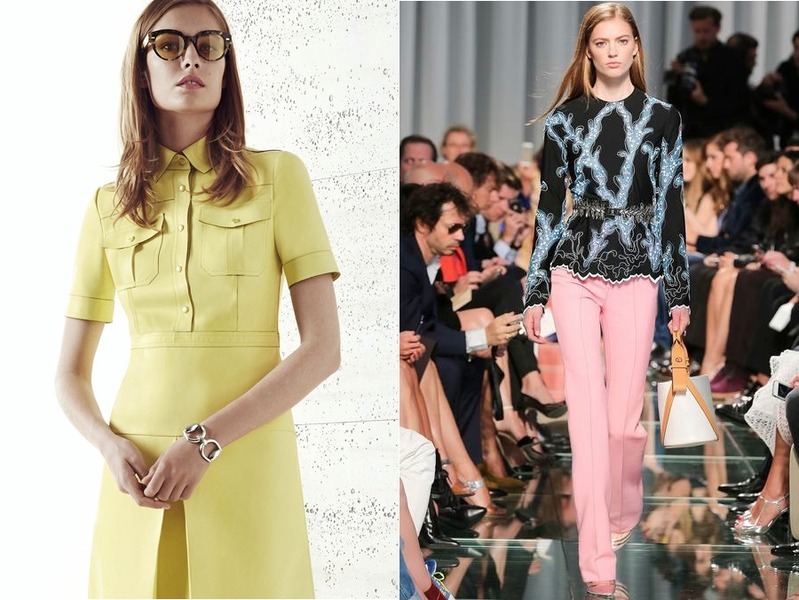 While fashion may have recently turned its eyes away from the 80's and briefly toward the (too recent, in my opinion) 90's for inspiration, resort has shown a drastic shift toward classic 70's silhouettes - think pointed collars and wide lapels, stiff A-line shapes, and a super long and lean trouser. 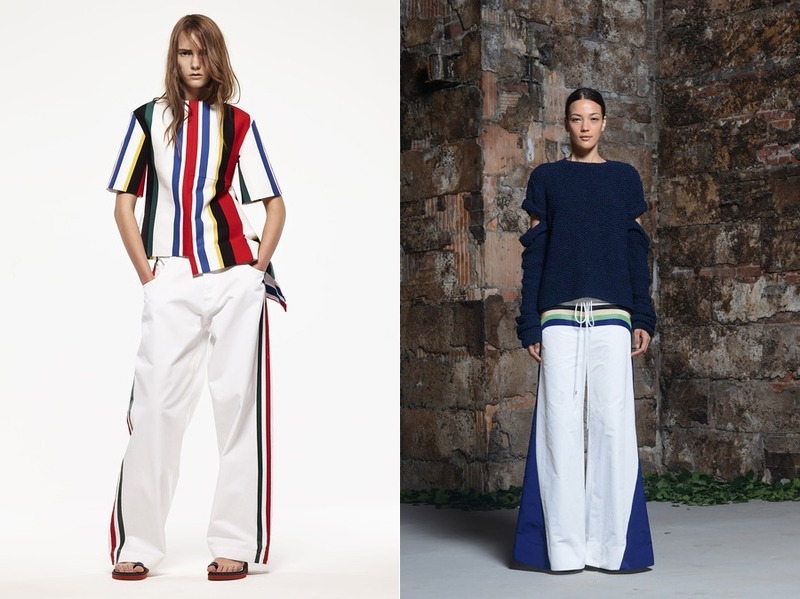 Building upon the Australian-led sports luxe trend that has stuck around for the past few seasons, Resort's sports-inspired looks came in the form of oversized tops and wide floor-grazing pants emblazoned with bold multicolor stripes. Cocktail dresses are now fully appropriate as day-wear, so long as they are paired with a clunky platform sandal or boyish brogue. 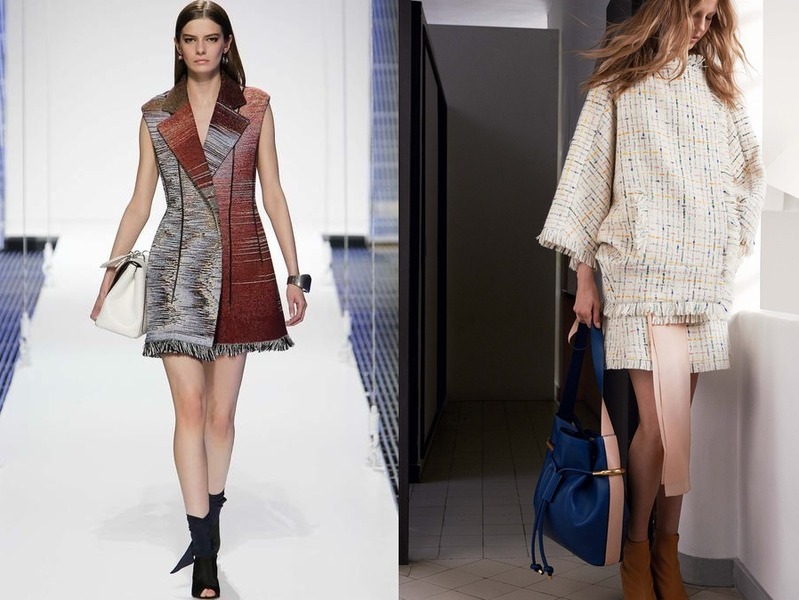 Matching dresses and coats were seen on several resort runways. Most notably, Derek Lam offered a knitted two piece ensemble in a neutral space dye, which was also recently seen on slim turtlenecks at Rodarte Fall 2014. Technically, three is a trend, but I am already calling the triumphant return of this 70's style staple. Paired with a luxe knit and an unexpected flat, the classically feminine style has made a comeback in airy chiffon and lace. 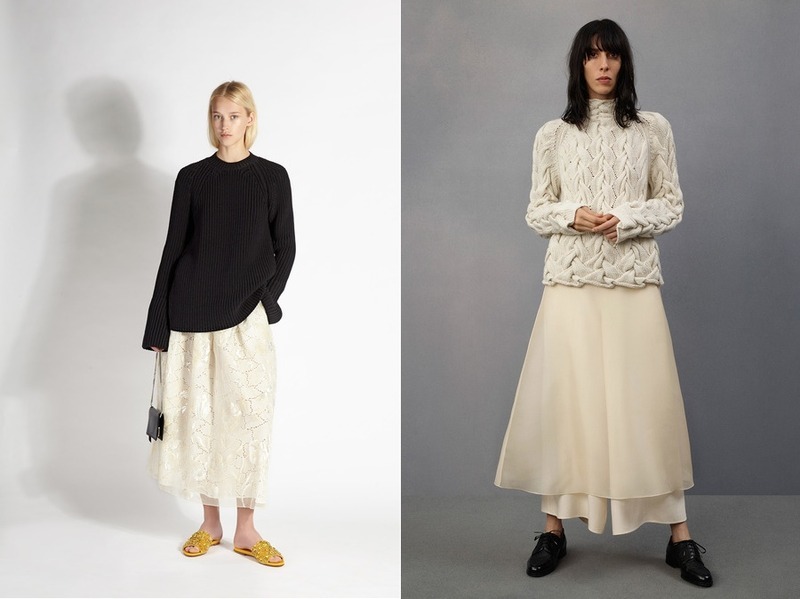 Think more upscale grunge than the sweet circle skirts that have appeared these last few seasons. Has anyone ever opted NOT to use this particular phrase when referencing fringe on the runways? I think not; however, this season's fringe is a little different, trimming heavier (almost woolen) pieces and imparting more of a cozy luxe vibe than the southwestern sexpot vibe that has been seen as of late. 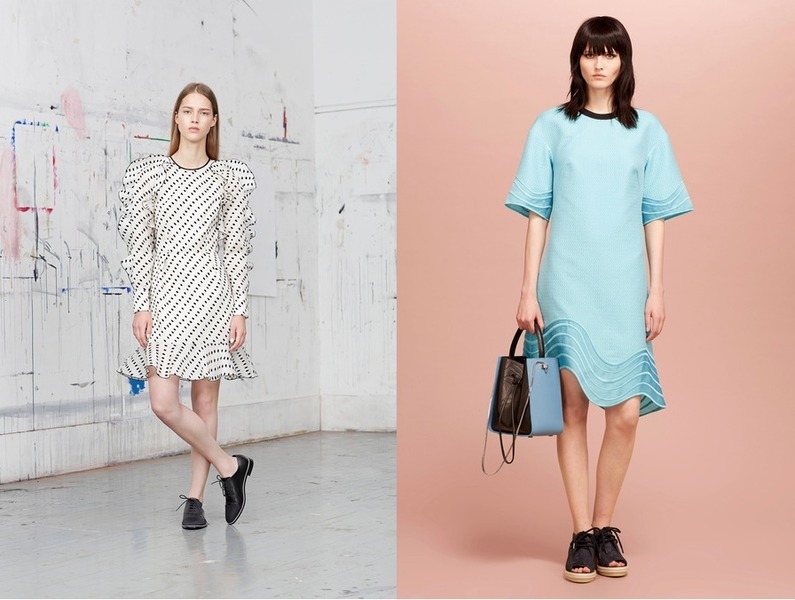 Evening wear got a quirky makeover for resort. From tropical monkey "lace" on a sheer gown at Valentino to over-sized crystals trimming the collar of a fuchsia micro-mini at Marc Jacobs, it is clear that the black tie crowd is ready to step outside the (black strapless satin) box. Resort, it appears, has broken the final barrier that once separated the kooky streets from the uppermost echelons of fashion. Sure, we just saw sneakers at couture, but a (presumably) $20,000 monkey dress leaves no room for doubt that truly now, anything goes.